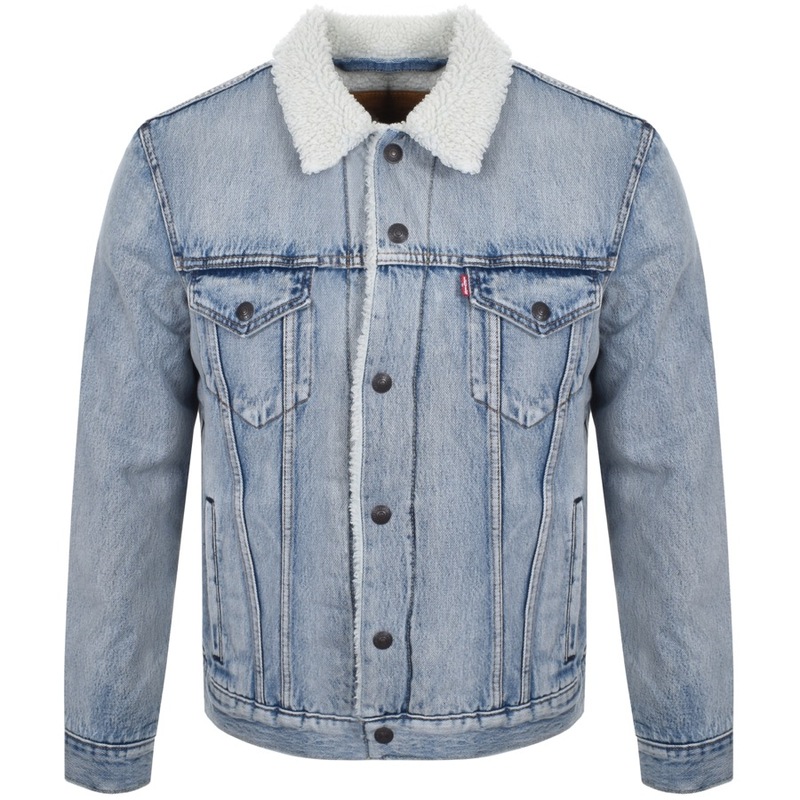 Levis Type 3 Sherpa Trucker Jacket In Stonebridge Blue Denim. A soft light blue denim with dark fading and full front metal Levis Strauss logo embossed press stud opening. An off white sherpa collar with press stud fastening cuffs on the long sleeves and adjustable press stud fastening tabs at the reverse of the waist. Two press stud entry flap pockets on the chest and two welt pockets at the waist. The signature woven Levis logo pinch tag is on the flap of the left chest pocket in red and white. Top stitching on the seams in golden brown and a off white sherpa fleece body lining with an additional interior chest pocket and quilted beige lining to the sleeves. 100% Cotton With Fleece 100% Polyester And Sleeve Lining 100% Polyester. The Brand New Collection Of Levis Strauss Jumpers And Jackets Live Online.